There has been various attempts worldwide to understand the hydrological cycle spatially and temporally. The advent of new satellite platforms has helped in the development of a number of continental and global scale land surface schemes designed to provide the insight into the movement of water through the terrestrial system. The Assimilation of Multi satellite data at Berambadi watershed for Hydrology And land Surface experiment (AMBHAS) is one such programme to understand the water and energy cycle spatially and temporally in a small watershed in South India. The watershed is located in semi-arid climate settings. 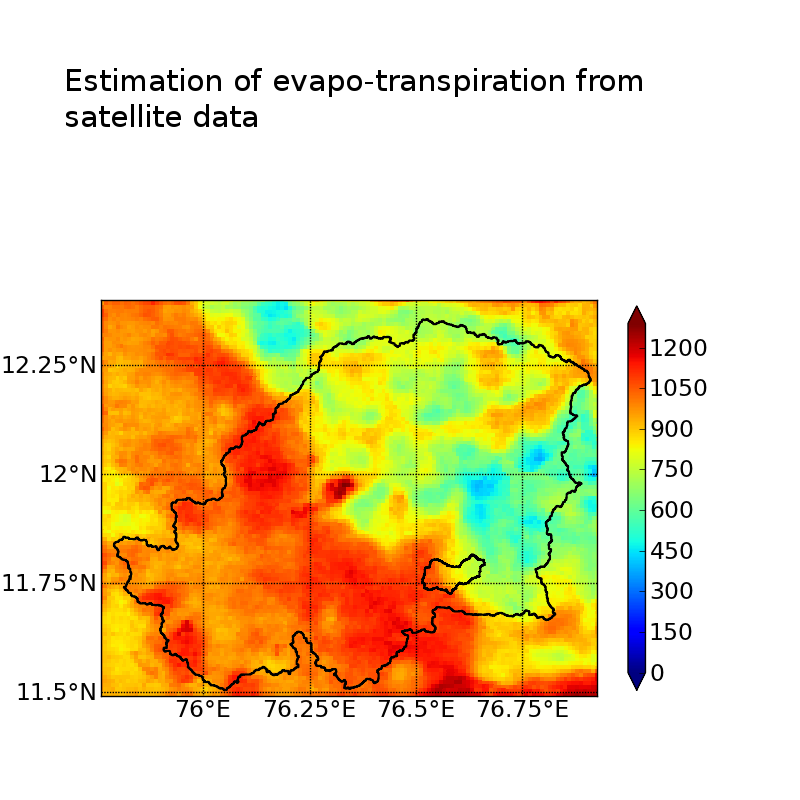 In such climate settings, around 60 to 80 % of the water which falls through precipitation evaporates into the atmosphere through Evapo-Transpiration (ET). Hence to understand the hydrological cycle a better understanding of the ET is must. This study presents a approach to estimate the ET using the only satellite data. The remote sensing products used in the present study are from the MODIS sensor on-board Aqua satellite.